This product was added to our database on Wednesday 24 february 2016. 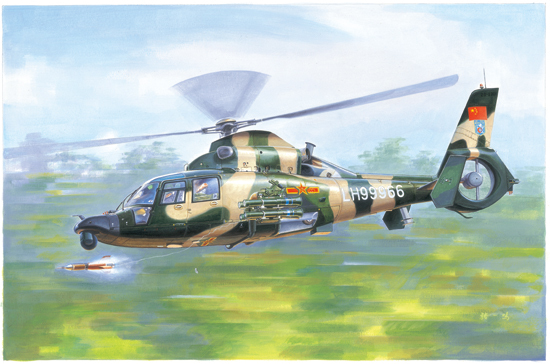 The Harbin Z-9 is a license-built version of the French Eurocopter AS 365 Dauphin, and is manufactured by Harbin Aircraft Manufacturing Corporation.Z-9WA is the newer night-capable versions have been built with nose-mounted FLIR. Incorporates a domestic Chinese helmet mounted sight that is compatible with anti-tank missiles such as HJ-8/9/10, as well as light anti-ship missiles such as C-701/703 and TL-1/10.